Children of the victims of assets confiscation exercise, during the AFRC/PNDC regimes, have expressed their disappointment at the current government's delay in returning the assets to them. They submitted that though they have received numerous assurances from the government after several petitions, they are yet to see its implementation. 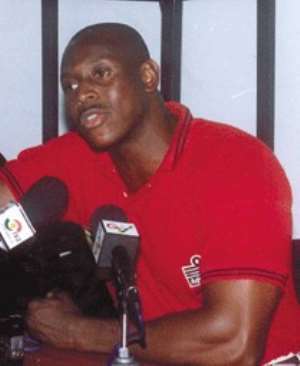 On an Accra based radio station, where they made the submissions, Mr. Herbert Mensah, son of the Mr. B.A. Mensah, a corporate tycoon, whose vast property were seized for the past 15 years, indicated that there is not justification for the assets to be confiscated, in the first instance, and it has been an on-going issue ever since. He stressed that the value of the assets cannot be quantified in terms of negative impact on the nation by the way of depriving people of their jobs and their source of livelihood, as well as the trauma the families have has gone through. “The value of the seized assets has to be looked into in term s the opportunity cost of the 16 years lost and how much has been lost to society, as far as the seizure is concerned, he stated. Mr. Herbert Mensah lamented about the disappearance of real business-oriented people giving way to business people who are always scrambling for government projects. “One of the biggest problems we face as a country today is the fact that we have no real businessmen. We do not have any industry base”. “We have everybody trading, and looking for government contracts and tenders and everything else, unlike the case about 20years before when you could look up to International Tobacco Ghana Company, Old am Wife, bring Coca Cola to Ghana or Boakye mattress exploits, the kind of industrial base that took Ghana from the third world toward the first world, he stressed.